continue on the new Bretella until the junction for Fai della Paganella and follow the signs for Molveno total 40 km. continue until Mezzolombardo. 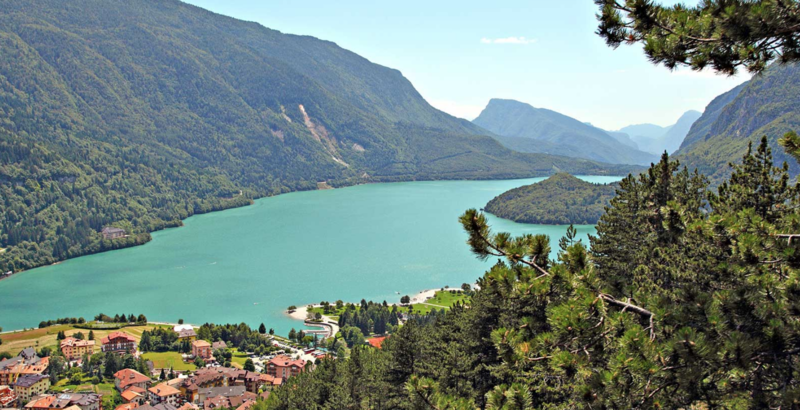 After passing the town, turn left at the first fork to Fai della Paganella, Andalo and Lago di Molveno (25 km in total), or at the second fork to the left towards Spormaggiore, Cavedago, Andalo and Lago di Molveno (25 km in total).